We are advocates for bike and road safety and regularly visit organisations such as the scouts, where we run free bike maintenance and safety sessions. Join us every Tuesday and Thursday at 18.15 (meeting at the shop) for a local mountain bike ride (1-2 hours). All experience levels welcome. 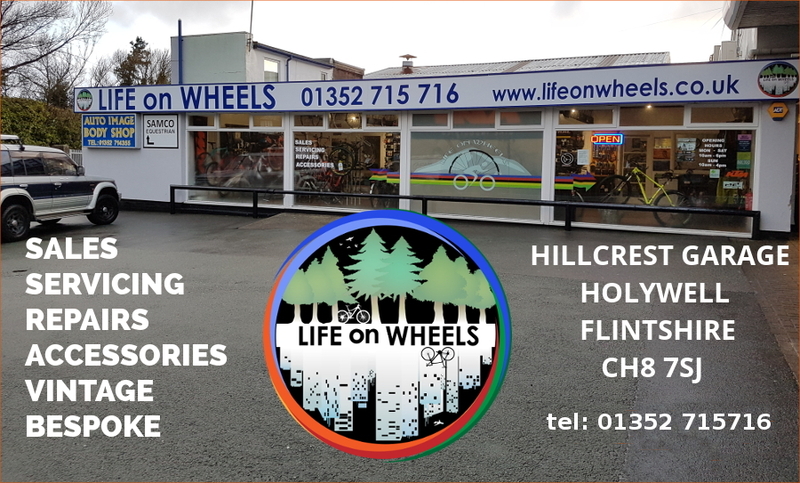 Our bike shop is in Holywell, Flintshire North Wales close to Chester, Cheshire.